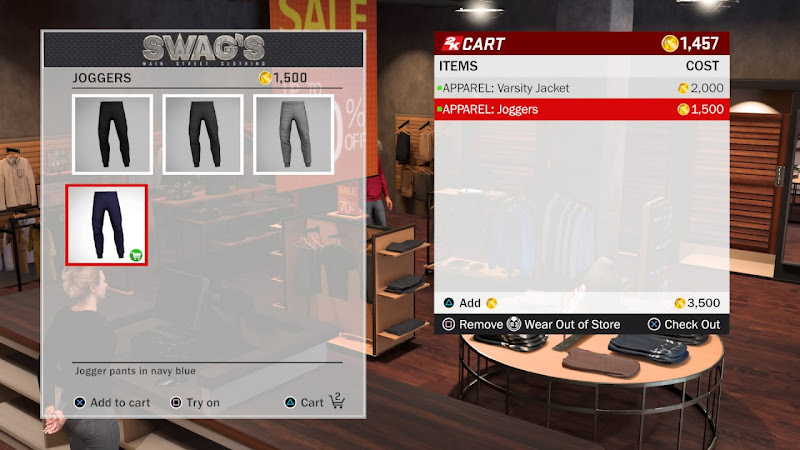 There’s a glitch in NBA 2K18 right now that allows MyPlayers to wear items from Swag's clothing store, Foot Locker and NBA store for free. 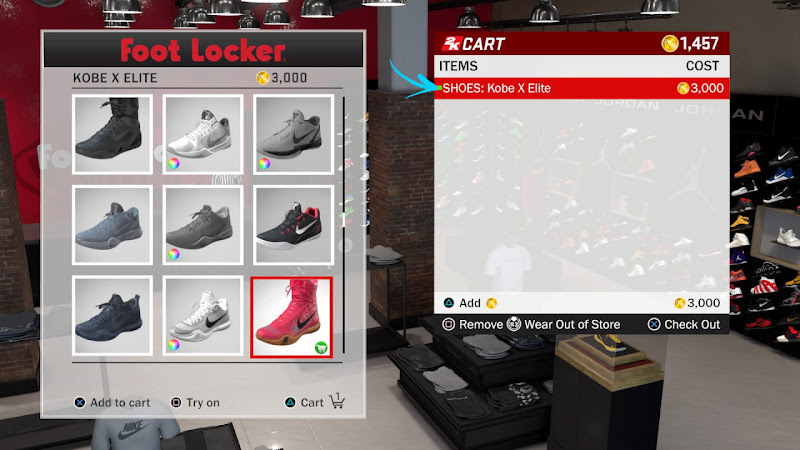 This means you can equip shoes and clothes without spending your hard-earned VC. Note that this will only work for items that you can purchase. 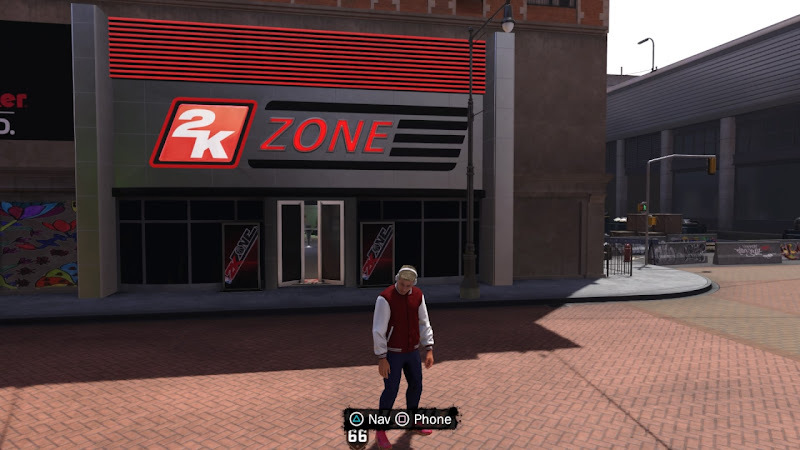 Some items are locked until you reach a certain rep/rating in the Neighborhood (See Road to 99 Rewards List). 1. Go to Footlocker and select Street/Park. Look for the shoes that you would like to equip and add it to your cart. Open your cart (triangle) and select Wear Out of Store (R3). You should see a green square indicator beside the item. 2. Leave the store (circle). 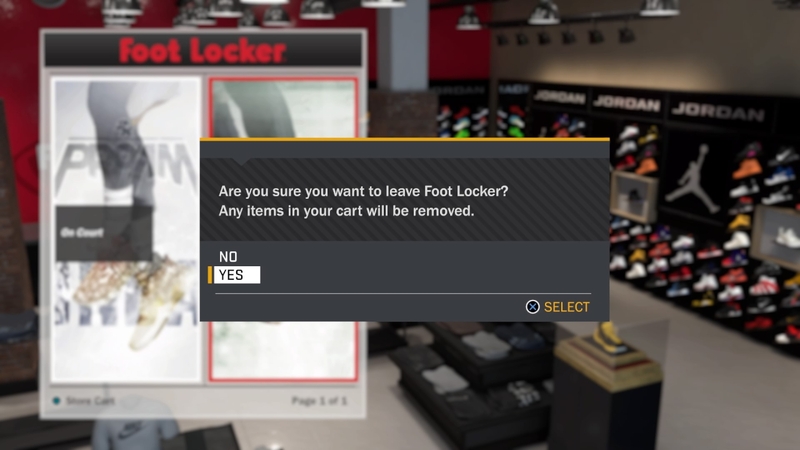 You will be asked "Are you sure you want to leave Foot Locker? Any items in your cart will be removed". Select Yes. 3. Go to Swag's or NBA store and repeat the steps above. 4. Enter 2K Zone and go to the JBL stand located in the right side of the entrance. 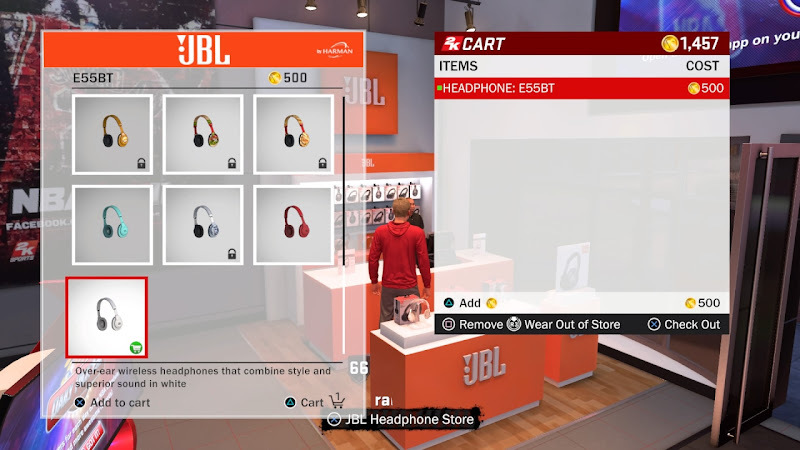 Add E55BT headphone to your cart and select it to Wear Out of Store and leave the store. Again, you will be asked if you want to removed it from your cart, select Yes. 5. Go outside and you should be able to see the items that you added in your cart earlier. Enjoy it while it's still working. I'm guessing 2K will patch this glitch/bug soon. Update: This has been patched in the latest update (1.03).